Rock Salt Creative is a production company specializing in documentaries and online content for PBS and network TV. We also create memorable visual content for not-for profit organizations, corporations, universities and publishers. She is passionate about using film to encourage conversation. Her films have taken her to the jungles of Guatemala, the rivers of West Africa, the tops of the Himalayas. Her work has been shown on PBS, PBS-NOVA, The National Geographic Channel, Discovery, International Climate Talks and Classrooms around the world. Laura is experienced in managing budgets, overseeing complex shoot schedules and running multi-platform media campaigns. 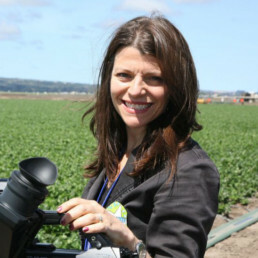 In addition to her documentary work, she creates and designs content for various organizations. Jackie Mow produced news in France, chased ambulances for local TV news and reported for public radio. Passionate about science and education, she eventually landed a job at NOVA, PBS' flagship science series. She went on to produce and direct for National Geographic Explorer, the Discovery Channel, the History Channel and PBS Kids. 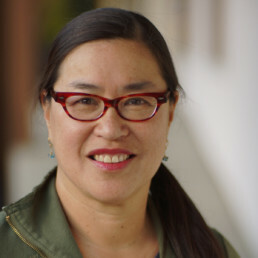 She has made films with a great diversity of subjects: the dog genome, Arctic dinosaurs, tunnel engineering, health disparities, early aviation and more. Jackie has also worked on several documentaries using personal narrative to tell stories of women and girls around the world. For World in the Balance, a film about population policy, she filmed in a Nairobi slum, where she profiled a young woman with HIV who was caring for her five orphan siblings. She also produced and directed A Girl's Life, a documentary focusing on personal stories of cyber-bullying, violence, and body image. Occasionally, Jackie works for big companies. She has managed large teams of producers, editors and animators. She is experienced in creating compelling event, marketing and branded editorial content. She brings her storytelling skills to every job she does.